Serendipity Management Explained | What is Serendiptiy Management? Serendipity Management is one of the key building blocks of the Service Automation Framework, and for many organizations one of the key reasons to adopt the framework. In this article, we answer four key questions about this concept. In the English dictionary, the word ‘serendipity‘ literally means something good that you did not expect beforehand. And most people have come across serendipitous events or moments in their lives. Thinks about friends you see again in unexpected places, or an last-minute upgrade when you board an airplane. These are the situations that you literally did not saw coming. 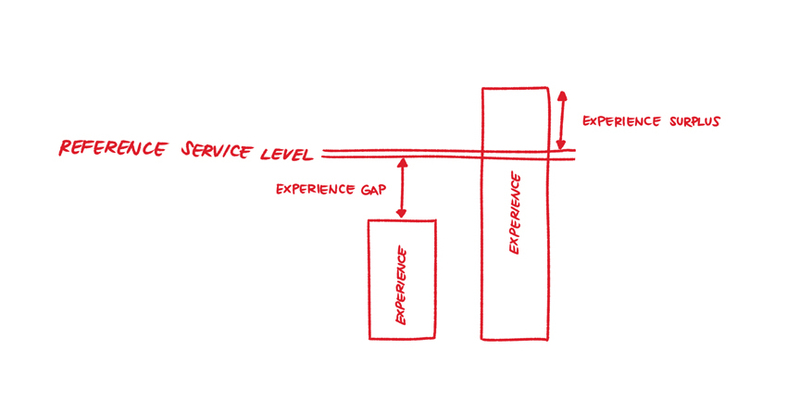 The reasons we refer to these kind of situations is because the event, product or service significantly exceeds our predetermined conceptions, frequently referred to as a reference level (see the illustration below). Somebody who has booked a business class seat on a plane will have a completely different reference level than somebody who booked an economy ticket on the same flight. If this reference level is exceeded, customers tend to be very happy. If, on the other hand, the reference level is not met, we tend to be disappointed. What is the difference with Serendipity Management? As stated in in the definition, serendipity is an unexpected event that makes somebody feel good. And that is exactly the main objective of almost every service provider in the world. Whether you are in the hotel industry, service broken cars or provide IT services, every service provider ultimately wants to make their customers happy by meeting (and preferably exceeding) their expectations. Serendipity Management therefore is the structure an organization can put into place to structurally meet and exceed the expectations of customers. Note that this is something different from marketing campaigns or traditional loyalty programs, because Serendipity Management is a continuous and day-to-day activity. Whereas a marketing campaign aims to ‘wow’ customers at set interval of times, Serendipity Management aims to ‘wow’ customers every day based on their own behavior. So what is the relationship between Service Automation and Serendipity Management? Serendipity Management is primarily applicable in the service industry. 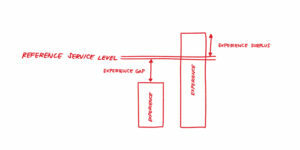 Since services are intangible, the overall service experience is of the key differentiators among service providers. By adopting Serendipity Management, service providers have a way to gain a competitive advantage – they transform their customers into fans. Before a service provider can start with Serendipity Management, they will first need to have Service Automation in their organization. Service Automation will provide insights into the actions and behavior of customers and is completely data driven. Based on these insights, service providers can subsequently design serendipitous events and workflows that trigger based on customer behaviors. 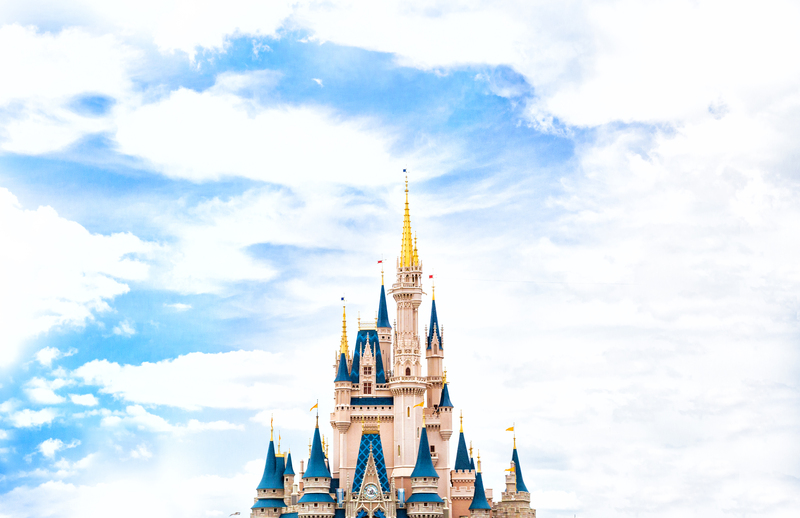 Simply stated, you need Service Automation first, before you can do Serendipity Management. This is also the reason why Serendipity Management is the last building block of the Service Automation Framework. Sounds interesting, but how would this work in practice? Every service provider can break down their services into a number of value adding activities. In Serendipity Management, you break down a service into its smallest components and pick one activity that you do structurally better than any of your competitors. To stick with the example of an airline service that we discussed before, let’s break down the process of boarding the aircraft, which consist of showing and scanning your boarding pass at the gate, walking through the gate to the plane and arriving at your seat (three ‘core’ activities in this example. Would it not be wonderful if you see a personalized message when you walk to the plane after you boarding pass has been scanned? Or would it not put a smile on your face if there was a welcome message from the pilot in your seat with your name on it? With the right automation, it would not even be that difficult to accomplish this. In this article, we hopefully showed you that Serendipity Management is not a really difficult topic and that every organization can start with this tomorrow. If you want to learn more about Serendipity Management you can receive more information by signing up for our newsletter or becoming a member of SAFA.